I do not consider myself to be an avid football fan, however, I am able to name the world’s two greatest footballers; Cristiano Ronaldo and Lionel Messi. There is something special about being the world’s greatest player. Their greatness does not lie in their materialistic gains, their strengths or their abilities. Nor does it lie in the number of fans and followers they have or awards they have accumulated. Instead, I feel true greatness lies in one’s ability to bounce back swiftly from every setback. Resilience makes and creates better performance. 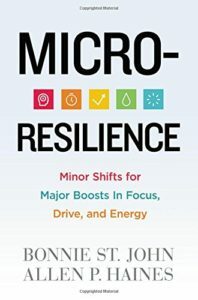 Personally speaking, I always considered myself a resilient person, or at least I thought I understood the meaning of resilience, that is till I read Bonnie St John’s book, Micro-Resilience: Minor Shifts for Major Boosts in Focus, Drive and Energy (Center Street, 2017). Micro-resilience is all about making small changes to gain immediate potential benefits. In the past, I was on ly aware of macro-resilience, which Bonnie explains as “time consuming habits, such as exercise, meditation and careful nutrition, that give us increased energy and better health over the long term. Micro-resilience, on the other hand, takes almost no time and works immediately—hour by hour, day by day.” However, it all depends on our ability and willingness to make small changes that play an important part in our daily activities. The book places a lot of emphasis on making changes; subtle changes that increase our ability to manage pressures and allow us to remain calm down when under stress. No doubt it is about having the right attitude. Did I say attitude? I was thinking of gratitude. Yes, self-analysis and being thankful for what the Almighty has bestowed on us works wonders on our mind and our emotions. Gratitude energises us when we feel that we have depleted all our energy sources. To prevent emotional hijacking we need to reset our primitive alarms, argues Bonnie St John. The way to do this is by labelling our feelings and emotions, “name your feelings and you’ll loosen their emotional grip at once.” Thus, labelling increases the sense of control. To sustain the energy at optimum levels we must drink sufficient amounts of water and keep the body hydrated at all times. It is an ancient wisdom that hydration affects the moods and emotions. Thus, drinking water is probably the best thing to do when you are experiencing fatigue, confusion and anger, especially during travelling or when about to deliver a speech. Another point that Bonnie St John prudently reminds the readers is to balance their blood glucose levels by healthy snacks between meals, as this too helps maintain optimum energy levels. This book is full of helpful tips and information. It was an absolute joy reading this book. 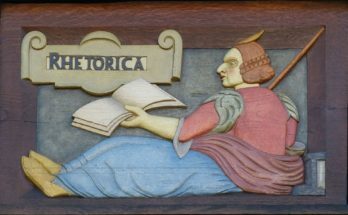 I was only able to select a few of the points from the book as I did not want to make the article too long. The instructions mentioned in her book are surprisingly easy to follow and really useful. The book offers an excellent solution for habitual pessimists, a technique called Reversi. The way it works is; for example, you missed your bus and then assume you can never reach your destination. Using the Reversi technique, you explore the opposites of your beliefs and say: yes, I can reach my destination. Personally speaking, as a child I was told that it is important to have hope at all times. One should never let go of hope. It is considered a sin to be without hope. Perhaps this belief helped me the most when I was diagnosed with the muscle wasting condition. Having hope and purpose in life makes one resilient. As Bonnie St John says ‘those without purpose perish’. 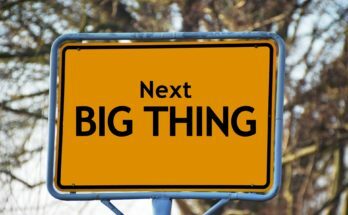 There is no doubt that we live in a very competitive world and these times are challenging. We need every bit of help possible to strengthen our resilience. The ultimate goal is to create oneness between yourself and the task you are doing, without something else draining your energy levels and being the centre of your focus. Thankfully, the Micro-Resilience book does just that. I do hope that techniques mentioned in this book will help augur a new positive beginning for the Restoring the Mind readers.